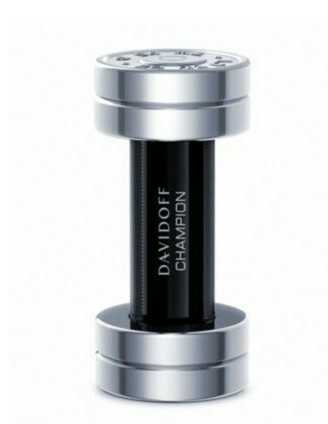 Davidoff’s latest men’s fragrance Champion will trigger in men a desire to develop the latent potential within them. That deep, fundamental instinct for victory and power. 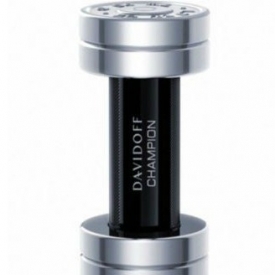 Davidoff Champion is about the daily ritual of taking the time to build physical and mental strength to become a champion. A fresh, undeniable character with a sensual trail - just the fragrance to put verve in your step. To be a champion. Zestful bergamot and lemon creates the invigorating start. The heart gains ground with galbanum essence and aromatic clary sage. Davidoff Champion is completed in its dry down by the masculine cedarwood all the while keeping a durable oak moss allure. This chunky dumbbell with its stirring black-glass and its head and tail silver weights is both refreshing and magnetic. Made of real metal with the contents boldly engraved on the cap, the bevelled-grip body gives a rough, masculine touch. It excites a will to win, a sense of resolution and iron-cast determination. Better than Champion Energy (it came out first) but with the same lack of anything much beyond the opening. It lasts and projects well and it's definitely a good sporty fragrance. Unlike Energy it's a viable everyday fragrance but with an equally terrible bottle.